It was hard to decide the character at first, but then Castiel came to me. The Seven of Wands is a card of defense. 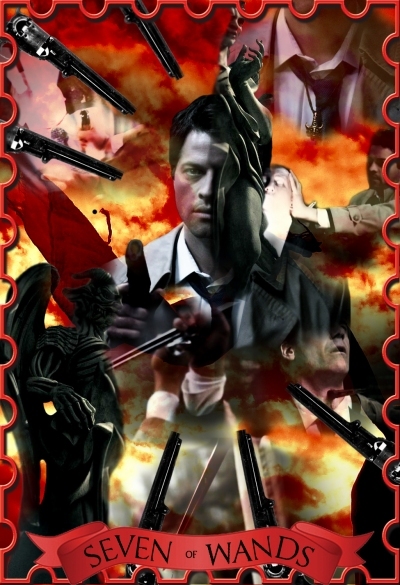 The many images of Cas killing the angels stand for the opponents that the subject of the card is fighting against. Dean’s amulet demonstrates where the subject stands. Although he’s alone against many opponents, success will come through effort, and if he battles carefully, he will be able to defend what he believes is right.